For those who are looking at an alternative to traditional firearms for protection, the JPX 4 Shot Pepper Gun Compact may be the right choice. This Swiss-made product comes in the shape of a traditional semi-automatic pistol. 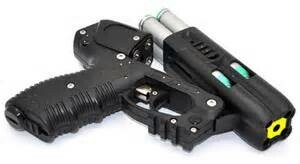 However, it fires pepper spray instead which is non-lethal and highly effective against most assailants. There are several features that makes the JPX 4 Compact unique. While the product is in the shape of a pistol, it is not a firearm because it only shoots specially made cartridges filled with pepper spray. Therefore, the US Alcohol, Tobacco, and Firearms Department (ATF) does not classify the JPX 4 to be a firearm. However, you must check with state and local laws, rules, and regulations that govern the use the JPX 4 for legal compliance. The cartridges carry a potent liquid of 10% OC that can be fired at targets from 5 to 23 feet away for the most effective results. The JPX 4 is very popular with law enforcement and correction professionals around the world. For those who do not want to carry a traditional firearm, the JPX 4 offers several advantages that should be considered for your personal protection. Easy to Use: The JPX 4 can be loaded with up to four pepper spray cartridges and used like a traditional firearm. All you need to do is point and shoot. The pepper spray will disorient the potential assailant allowing you time to get away. Reloading is also simple thanks to the large cartridges that fit easily into the JPX 4. Non-Lethal: The pepper spray causes a temporary disorientation due to the intensity of the contents. This allows you time to get away without causing any permanent harm to the assailant. The JPX 4 can be used alone or with other self-defense devices to maximize your personal protection. Legal: The JPX 4 is not considered a firearm, so no special permit is needed to carry in all 50 states and the District of Columbia. Except, for certain municipalities, counties, and states that have restrictions regarding pepper spray devices. You will need to check with your local laws, rules, and regulations to ensure that carrying the JPX 4 is legal in your community. Handy: This lightweight device can be easily carried in your purse, on your belt, or in a bag. It’s compact enough to be handy when you need it and accurate enough to stop an attacker in their tracks. This makes it a very potent self-defense weapon that is effective and can be used by almost anyone in any situation. The JPX 4 Shot Pepper Gun Compact is the perfect choice for those looking at a non-lethal means of self-protection. It is somewhat expensive, but the product is crafted from high-quality materials and designed to last for many years. You can purchase extra cartridges and keep them stored at home in case you need to reload the device. Although marked as a non-firearm, the JPX 4 does bear a similarity to many semi-automatic pistols. Therefore, you should carry it discreetly so there is no mistaking it for something else. 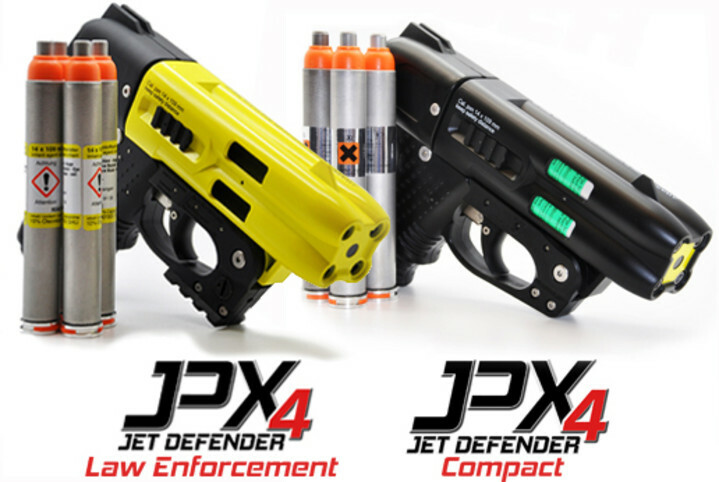 The only difference between the JPX4 Compact and the JPX4 is the compact has a shorter grip and does not come with a laser. It uses the exact same cartridges. The shorter grip makes it ideal for women and concealing. 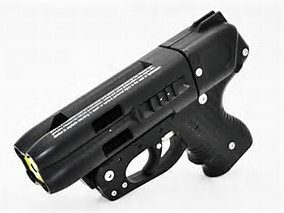 If you are looking for a laser that comes with the gun please see JPX4. JPX 4 Shot Pepper Gun Comes With 4 OC Rounds and Gun Case.